PAISBOA members banded together in 1968 to leverage their collective buying power for health insurance. 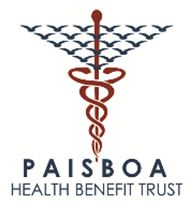 Over the subsequent years, PAISBOA’s health insurance program evolved, and in 2013 the PAISBOA Health Benefit Trust was created in order to sponsor and administer the self-funded PAISBOA Health Benefit Plan for the exclusive benefit of its members. The Trust is a multiple employer welfare arrangement (MEWA), designed to be a bona fide association or group of employers under ERISA, and is regulated by a single employer welfare benefit plan on a large group basis. Governed directly by an independent board of trustees elected by its member schools, the Trust is a Voluntary Employee Beneficiary Association (VEBA), a tax-exempt entity. The Trust has a current membership of more than 130 independent schools, covering approximately 15,000 lives. The PAISBOA Health Benefit Trust is solely dedicated to providing PAISBOA members with high quality health plans at affordable rates.